As you begin your research, comparing debt consolidation to refinancing, it’s important to understand the basic difference: debt consolidation is for someone seeking to pay off multiple debts in one simple payment, and refinancing is a potential strategy for someone who already has a loan. Debt consolidation is a financial strategy that allows you to combine multiple debts into one. If you’re paying off multiple credit cards, a car loan and personal loans, you’re receiving several bills every month. 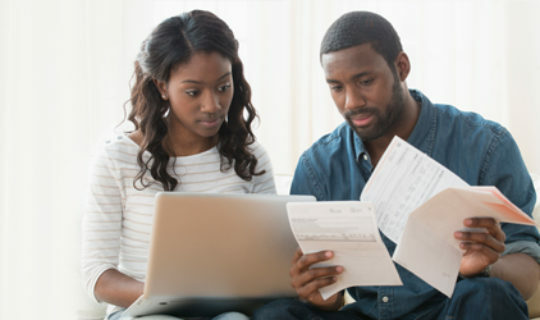 If you’re paying off multiple credit cards, store cards or medical expenses, the bills come in at different times of the month, which can make planning payments difficult. Debt consolidation gives you the opportunity to pay all of those bills at once. When you receive a debt consolidation loan from a reputable lender, you can use those funds to pay your creditors directly. Now, of course your debt isn’t gone, but it’s now centralized in one location. You can now pay your established lender over time until your debt consolidation loan is paid in full. 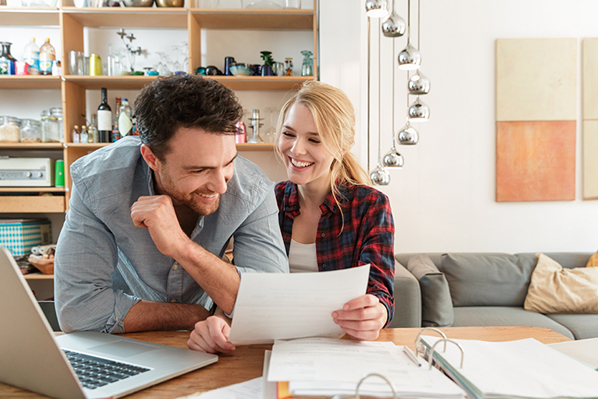 Not only does this strategy make paying off multiple debts easier and more organized, it also comes with the benefit of various repayment terms and potentially lower interest rates than your higher-interest forms of debt. That’s what debt consolidation is all about. So to recap: Debt consolidation is a financial strategy with which you can use a personal loan from a reputable lender, like Discover, to combine several high-interest debts into one manageable, fixed payment. Refinancing is a financial strategy that allows you to receive more favorable terms on an individual loan. If you have a loan and have been making your monthly payments on time and in full then you might want to explore refinancing. Why? As you continue to pay down the balance, you may be able to refinance your loan. This could result in a lower payment, lower interest rates or a shorter term depending on your specific situation. Here’s how it works: If you’re paying your current loan on time every month, you may have improved your credit profile. As your credit profile improves, you may gain better options from reputable lenders. You can typically refinance a personal loan whenever it makes sense. You can then start shopping for a new personal loan. It’s important to remember that refinancing means applying for a new loan. You may be able to find more favorable terms from either your current lender or a new lender. So to recap: Refinancing is a financial strategy where you apply for a new loan that is based on your most recent financial behavior, potentially resulting in more favorable terms than your previous loan. Remember that refinancing is a method to get better loan terms than that of your existing, individual loan while debt consolidation is about getting a loan to combine multiple bills or debts into one. Both can be used effectively to manage your debt load. If you have multiple, high-interest bills, debt consolidation might be the way to go. If you’re just paying off one loan, refinancing may be a wise way to save on future interest payments. If you have questions, we encourage you to visit our frequently asked questions section.